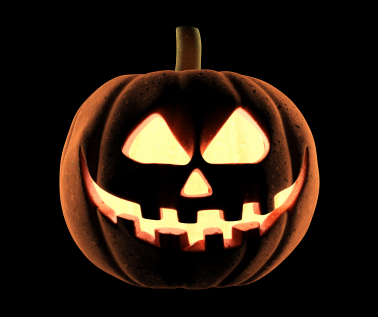 Halloween can be just as much fun for adults as it is for the little ones. It falls on a weekend this year, which means it’s a great excuse to get everyone together to celebrate. Why not whip up some cocktails and hors d’oeuvres to celebrate the season? Fill bowls with brown and orange M&Ms or orange and black jellybeans for people to munch on. Use Halloween themed cookie cutters to cut up slices of bread. Fill with your favourite cheese, butter the outside and make miniature grilled cheese sandwiches as finger food. Make mini quesadillas: Cut flour tortillas into 4″ rounds. Fill with salsa, cheese and any other favourite fillings (such as cooked chicken, diced peppers, onions, crabmeat, etc). Fold over and brown in a skillet. Serve with sour cream and guacamole. 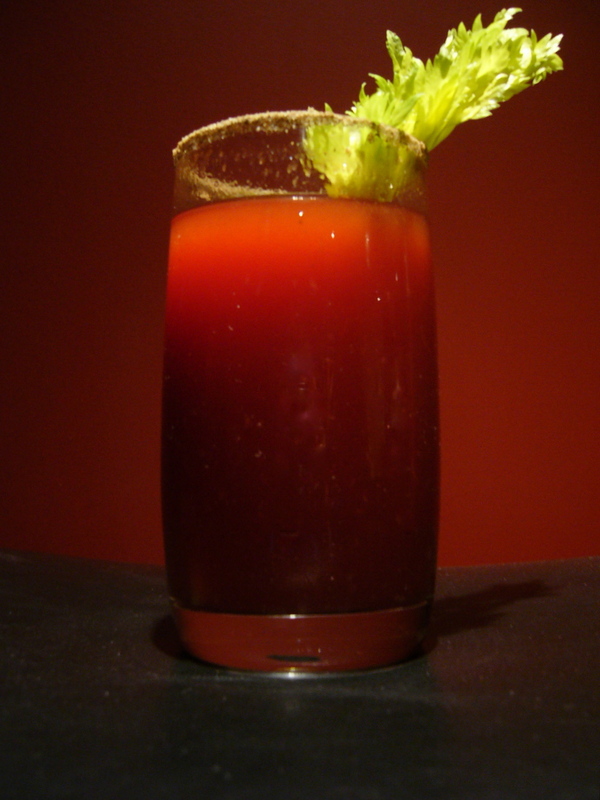 This is similar to a Bloody Caesar or Bloody Mary but of course contains garlic to keep vampires at bay. To make a Virgin Vampire Slayer, leave out the vodka. For a Spicy Vampire Slayer, increase the tabasco sauce. Warning: it’s for garlic lovers only! Mix celery salt and garlic powder until combined on a small plate. Moisten the rim of a highball glass with a lemon wedge or water and dip into celery salt mix until the entire rim is coated. Place ice, vodka, garlic, juice, tabasco and worchestershire sauce in a cocktail shaker. Shake well and strain into glass. Garnish with a celery stalk or lemon wedge. Melon liqueur can be found quite easily at most liquor stores. 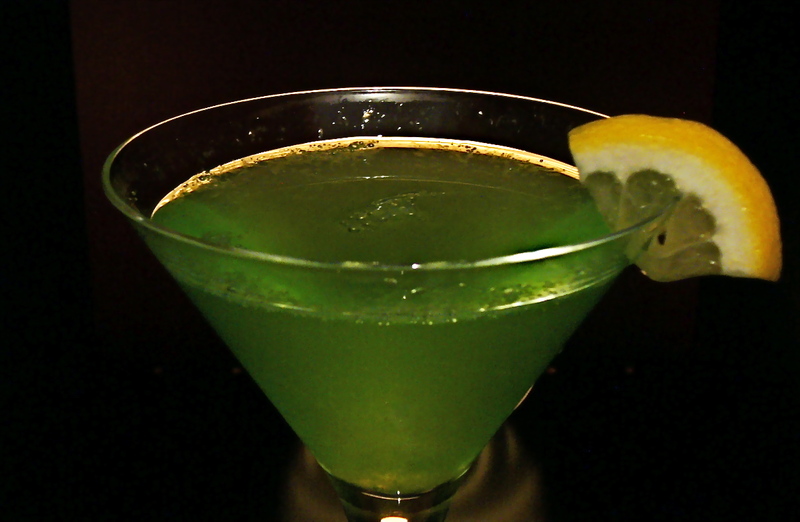 Midori is a common brand name and McGuinness makes one called ‘Melon’. It’s bright green and has a refreshing melon flavour. In cocktail shaker, add melon liqueur, vodka, lemon juice and ice cubes. Shake until well combined. Strain into a martini glass and top with sparkling wine or club soda.